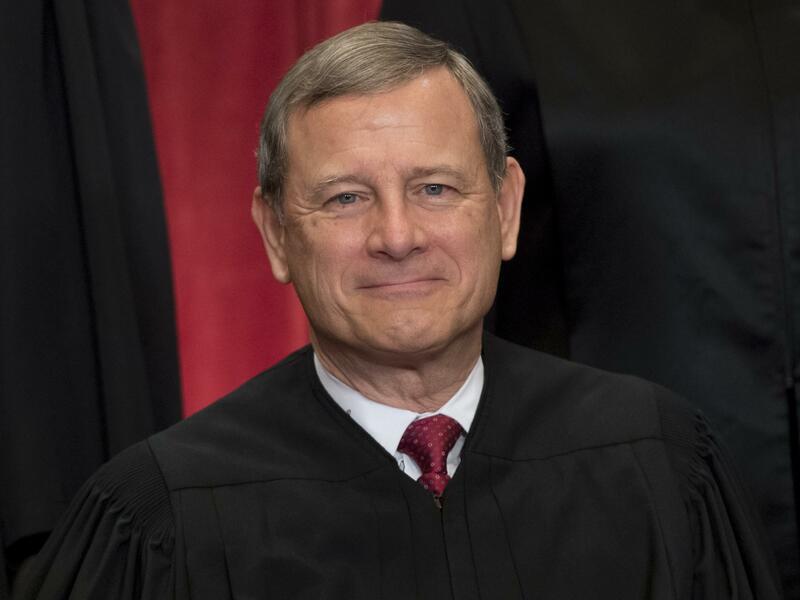 Chief Justice John G. Roberts had blocked a lower court order that would have required politically active nonprofits to disclose their donors. But on Tuesday the full Supreme Court overturned his stay. Some of the anonymous political donors financing ad campaigns this fall will soon be disclosed. These are politically active nonprofit groups. The disclosures will happen because of a move yesterday by the Supreme Court. NPR's Peter Overby reports. PETER OVERBY, BYLINE: For nearly 40 years, a regulation of the Federal Election Commission has enabled politically active nonprofit groups on both sides to hide donors who give millions of dollars each cycle. But for now, thanks to a district court judge and the Supreme Court, the rule goes away. NOAH BOOKBINDER: This will really mean more disclosure of who is influencing elections. OVERBY: Noah Bookbinder is director of Citizens for Responsibility and Ethics in Washington, the watchdog group that spent two years suing the FEC over the regulation. The court ruling doesn't affect the secret money behind what are called issue ads, the ones that say, call your senator. But the judge said independent expenditures must be funded with money that's disclosed. BOOKBINDER: Groups that run these kinds of ads, ads that tell you to vote for or against another candidate, are going to have to disclose their contributors. And that is incredibly important. OVERBY: But it's not a surprise. Nonprofit groups and the FEC fought it up the line, but the Supreme Court yesterday sided with federal District Judge Beryl Howell, who struck down the regulation in August. Dan Backer is a conservative lawyer who represents politically active nonprofits. DAN BACKER: I don't think anybody's freaking out about it because everyone's been warned since the original decision that this could be happening. OVERBY: The U.S. Chamber of Commerce is one of the big political advertisers that don't disclose their donors. At this morning's Christian Science Monitor breakfast with reporters, Chamber President Tom Donohue said he isn't bothered by the new requirements. TOM DONOHUE: This is not a big problem for us. OVERBY: He talked about the Chamber's issue ads for which the rules don't change. DONOHUE: We don't have to disclose our donors if what we're doing is doing what we do 12 months a year. OVERBY: He didn't mention that so far this cycle, the Chamber has spent $12 million on independent expenditures that explicitly support or attack candidates. The Supreme Court's interest in disclosure is longstanding. Even in Citizens United, the 2010 ruling that let corporations and the wealthy spend freely in elections, Justice Anthony Kennedy made clear disclosure was critical. ANTHONY KENNEDY: Those mechanisms provide information to the electorate. The resulting transparency enables the electorate to make informed decisions and give proper weight to different speakers and different messages. OVERBY: But this transparency isn't permanent. Plaintiffs are still challenging the substance of Judge Howell's ruling, and their appeal will be heard sometime after Election Day. Peter Overby, NPR News, Washington. (SOUNDBITE OF CHARLES BRADLEY SONG, "THE TELEPHONE SONG") Transcript provided by NPR, Copyright NPR.